Arianna is a Doctoral Researcher in the Industrial Relations Research Unit at WBS. Her research interests span across comparative political economy, industrial relations and labour market policy. 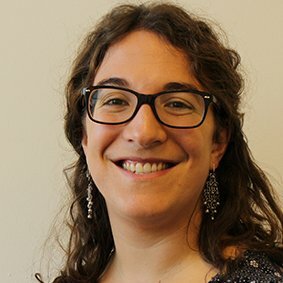 Arianna holds a BA in Politics and development Studies from SOAS, University of London and an MSc in Comparative Social Policy from the University of Oxford. Prior to joining WBS, she worked in applied policy research in the UK and Ireland, focusing on working conditions, industrial relations, employment and skills policy. Arianna’s PhD research investigates changes in tripartism and concertation between governments and social partners in the aftermath of the Eurozone crisis in four countries: Italy, Spain, Portugal and Ireland. Through a comparative research design, the research examines causes and implications of the evolving dynamics of tripartite concertation in the Eurozone periphery, with a focus on social partners' role in processes of structural labour market and social policy reform.